Ideal for vast range of boards, doors, fences & large sheet panels. Trolleys are vital carriers that are used in industrial units or commercial places to transfer items. 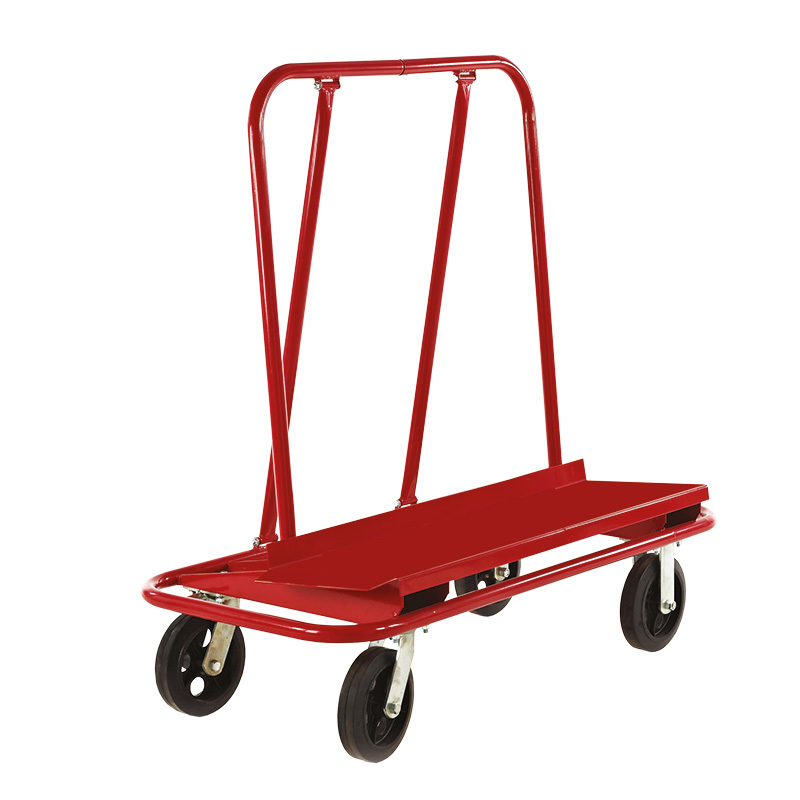 Heavy duty trolleys are the best arrangement for allowing the transfer of large and heavy goods or items in a smooth manner. 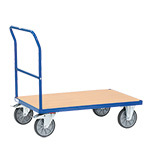 This heavy duty dry wall board trolley can be used for the transfer of a wide range of heavy items such as doors, fences, boards and large sheet panels. The trolley is provided with angled lips on either side of the base platform. 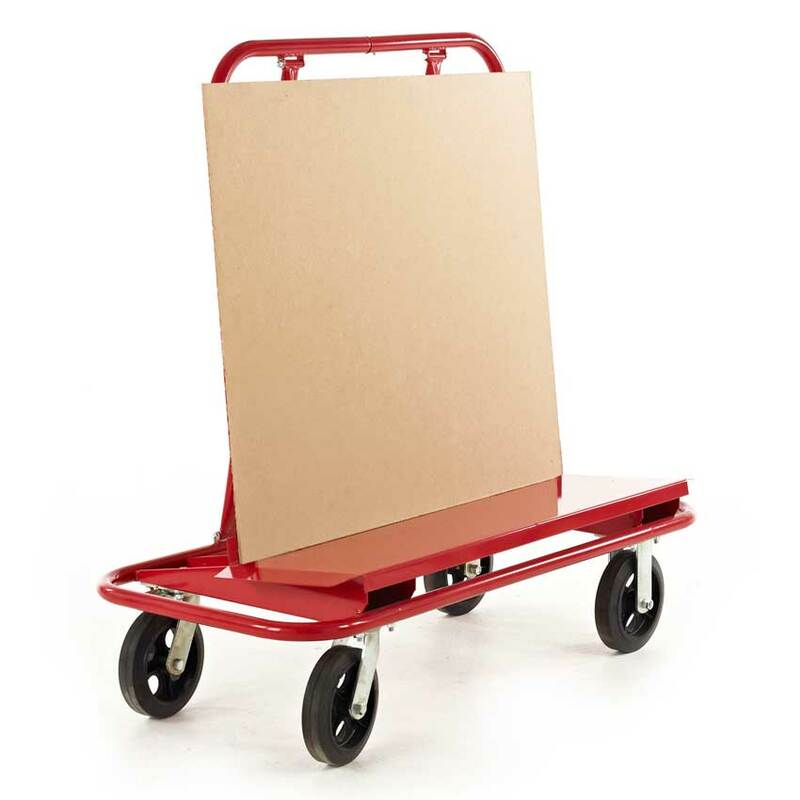 This feature enables easy uploading of large boards onto the trolley. 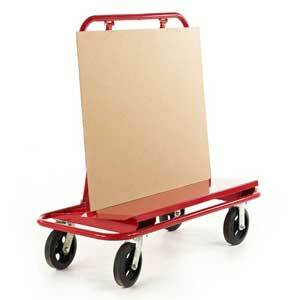 The dry wall board trolley is designed to have a strong construction. 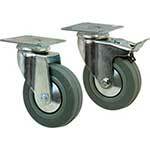 The heavy duty trolley is mounted on two fixed and two swivel castors for easy mobility. 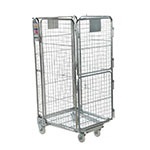 These industrial trolleys are available in dimensions of 1219mm height x 584mm width x 1219mm length. These wheeled trolleys are suitable for frequent, intensive use. 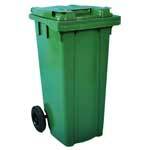 They have the capacity to bear loads of up to 800kg.